We were super excited to catch up with some of our FORT friends last night at Austin's edition of Step Into The Black presented by Captain Morgan and FADER. It was a scorching hot day in Texas, but it cooled off as the sun went down and party-goers lined up around the block. Once inside the packed venue, usually used for weddings, guests enjoyed Coreanos tacos and Captain Morgan Black Spiced Rum and ginger. 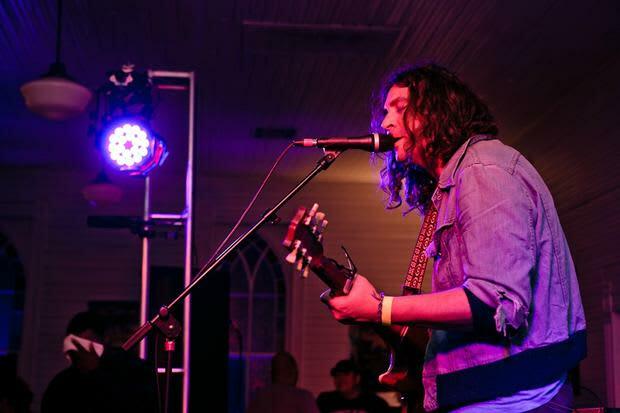 The night began with a set by local DJ Rapid Ric, which was followed by a highly anticipated performance from Philadelphia folk-rockers The War on Drugs. Thanks for a special night, Austin! Sign up for our mailing list to find out which city Step Into The Black will visit next.